We’ve been running The Social Diner supper club at Brigade for a few years now, and each and every one has gone down really well. 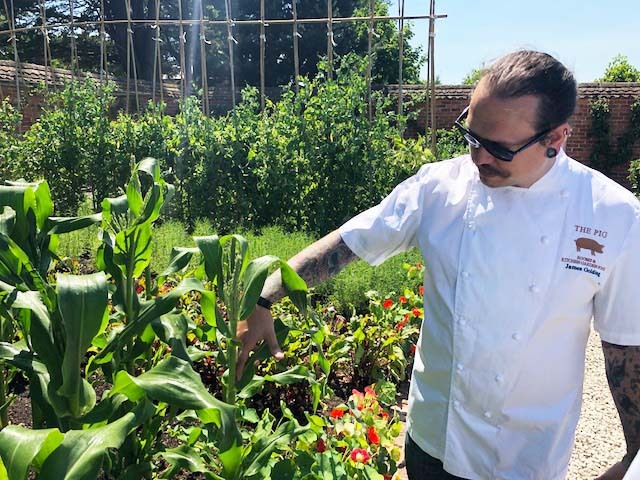 It’s also amazing that such talented chefs are so supportive of our work, with the likes of Mark Hix MBE, Michel Roux Jr, James Golding and Chris King – to name but a few – hosting supper clubs for us to support our work. When it comes to supper clubs, everyone loves this idea that you’re not quite sure what the menu’s going to be and that you’re not sitting in a formal dining room. Our supper clubs tend to centre on long tables. You don’t know who you’ll be sitting next to, but you know they’ll be interested in food and enjoy doing things that are a bit different. We know that long-standing friendships and relationships first started at our supper clubs – and the fact we have a loyal following of people who keep coming back speaks for itself. I’m really excited about our new series of secret supper clubs starting in September. Brigade is going to be closing for a refurbishment in the autumn, so we’ve taken the opportunity to develop a series of secret supper clubs in a new location, which has incredible views over London. The exact spot won’t be revealed to our supper club diners until nearer the time! I’ll also be getting involved in the kitchen this time too, working alongside our guest chefs and apprentices. Nigel is a fantastic chef, well-known from BBC’s Great British Menu and as the Chef Ambassador of Northcote, where the Obsession food festival is also hosted. I recently spent the morning with Nigel at THE PIG in Brockenhurst and we share a lot of the same values around food and people. His food is fantastic and he’s going to truly inspire our apprentices. I’m doing a special supper club in partnership with the Rose May Foundation in October. Rosie May was a 10 year old girl who was murdered in 2003. In 2004, her family went on holiday to South East Asia and planted a palm tree in her honour on Christmas Day. The following day, the Indian Ocean tsunami hit, claiming more than 230,000 lives. Rosie May’s family survived – as did the palm tree they planted – and it inspired them to launch the Rosie May Foundation and a project in Sri Lanka for girls orphaned because of the tsunami. I volunteered in Sri Lanka following the tsunami, so I feel a really strong connection with this cause. James is another inspiring chef and the Chef Director of THE PIG. James and I followed a similar path in our early careers, as we both did the Specialised Chef Apprenticeship course and worked at The Savoy under Anton Edelmann. James is also known for working at Le Caprice, J Sheekey and Soho House, New York before joining THE PIG. His food and culinary ethos are both brilliant. Chris is an exciting young chef who has been really keen to do another supper club for us ever since his last one. He works under Michel Roux in The Langham, where they have The Landau restaurant and the new pub, The Wigmore. Chris does really cool food and his menu went down particularly well at the last supper club he did for us, with a simple but stunning veal chop as the main. Both he and his team said they got an incredible amount out of doing the supper club – they found it particularly humbling to work with our apprentices who were working so hard to move their lives on. From our perspective, supper clubs provide us with an ability to inspire our apprentices in a different way. 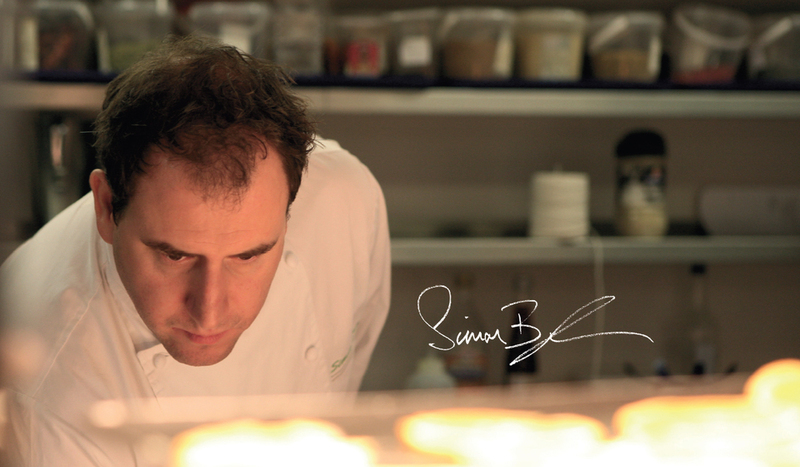 We bring in incredibly inspirational chefs who put their spin on the best produce available at the time. Our apprentices cook with these great chefs, they show their skills and build up their skill base through these new interactions. It gives our apprentices an invaluable experience they can draw on in the future. From our charity’s point of view, funding isn’t easy to come by. Supper clubs help raise awareness and also funds for the work we do. This unrestricted funding is especially valuable to us, because we can decide what to invest the funds in at that time for the greatest impact. For our forthcoming series of secret supper clubs, these funds will be used to give copies of my new book away. The new book How to Cook and Keep on Cooking (Penguin Random House), is launching later this year. The book is all about helping young disadvantaged people who could potentially become homeless in the future if they’re not supported. A surprising number of young people – particularly those from disadvantaged backgrounds – don't have the support of a loving family. When these children reach their late teens and early adulthood, it's time for them to take responsibility for themselves, but this can be a real struggle. Childhood trauma stays with people for years and can lead to unemployment, physical and mental health issues and homelessness. The book contains lots of practical tips about how these readers can cook and look after themselves. I’ve seen with my own eyes how these important building blocks can make the difference between a young person thriving or ending up on the streets. Bringing freshly cooked food into the lives of vulnerable people can play a crucial role in helping them stand on their own two feet. Not only does this help young people live healthier lives, learning the basics of cooking equips them with a basis to create lives full of purpose. We aim to raise enough funds to be able to give away 5,000 books to disadvantaged young people. We’re working with a number of charities and organisations to identify recipients of the book, and so far, the Prince’s Trust, Springboard, the Drive Forward Foundation, The Foyer Federation, SIL, Centrepoint, School Food Matters, THINK EQUAL, Buttle UK and CAPE are all on board. By giving the books away, we can ensure the people who will most benefit from the information will get access to it. Not only will this help more young people who may be at risk of homelessness in the future, it will also help us engage with new vulnerable people who might benefit from the structured programmes we run at Beyond Food. So not only do our secret supper clubs promise to be amazing foodie feasts, we’ll be doing social good at the same time too. Since supper clubs are all about celebrating produce at its very best at a moment in time, the new recipe I’m sharing with you is all about fresh peaches. This week I had a wonderful experience with my son – who is keen to become a chef too – at Gravetye Manor, a beautiful hotel near where we live in West Sussex. 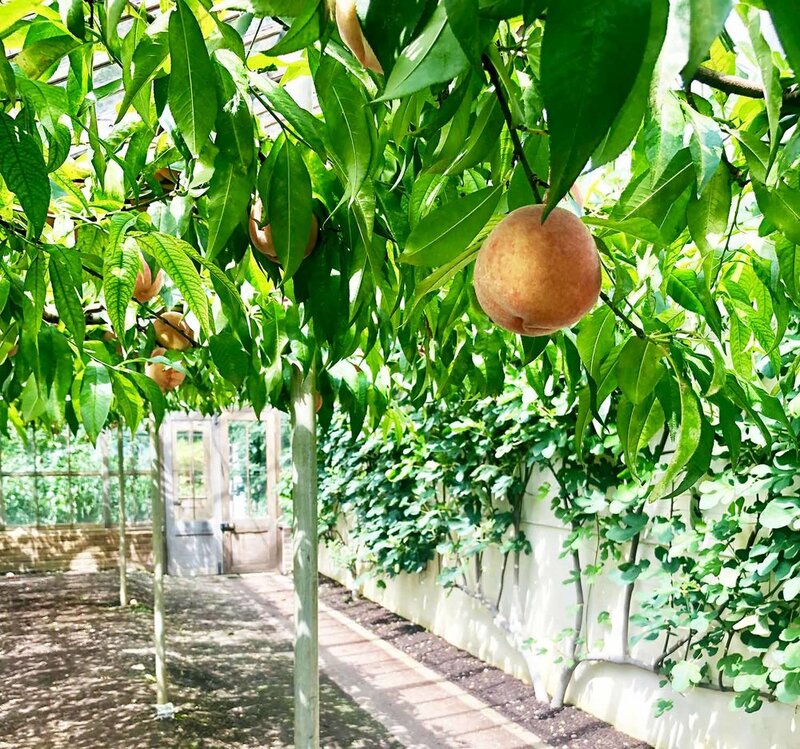 I took him to see the chef’s garden there and we discovered they have an amazing wooden greenhouse where peach trees are growing. The sun was shining through the glass and we were each given a fresh peach, which still contained the taste of the sun when we ate them. Delicious! Here's my roasted Sussex peaches recipe.